Gmail recently became 15 years old and to mark the occasion Google was keen to point out all the growth that its email service has gone through in all that time. 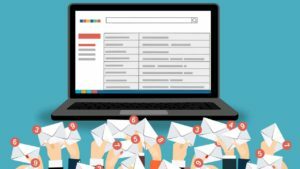 As well as trumpeting some of Gmail’s latest and greatest features, Google also introduced a new Gmail feature that will be a big help to most Gmail users. In fact, this is such a simple email feature, it is a wonder that it has taken Google this long to introduce it. There are plenty of reasons to schedule an email to send later rather than as soon as you’ve written it. Did you know that Tuesday afternoon is the best time to send in a job application? What about emailing your boss or a colleague outside of work hours? Whatever the reason, scheduling emails to arrive at a later time or date is an essential email feature. So much so that its absence from Gmail through the years has spawned a multitude of third-party apps and extensions that allow users to do it. From the Boomerang Gmail extension to the Schedule Email Google Chrome extension, for years, Gmail users have gone elsewhere if they wanted to schedule an email they’ve written rather than send it immediately. Google has finally moved to change this. 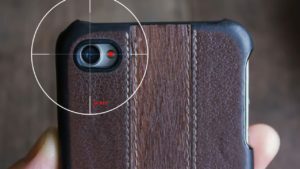 The new feature has been rolling out for nearly two weeks now, but it still hasn’t reached everybody’s mobile phone. If you don’t have access to it yet don’t worry, it is coming. As soon we have it, we’ll post a tutorial showing you how to use it. Word is, it is super simple and shouldn’t give you too many problems. The feature is being released in a way that you should receive it on your phone at the same time you gain access to it on Gmail via your web browser, too. 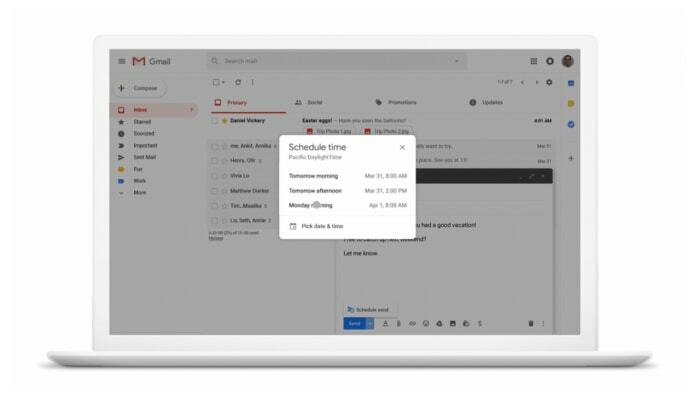 Gmail also used its 15th birthday to release some big stats and announcements about its new AI-fueled Smart Compose feature. According to Google, Smart Compose is already contributing over 1 billion characters to users’ emails every week. This number is due to leap even higher as the feature is also due to roll-out to iOS soon and will also be available in four new languages: Spanish, French, Italian, and Portuguese.